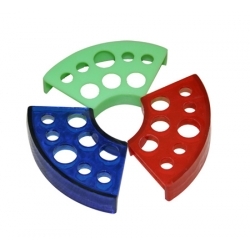 Curved fan design plastic ink cap holder holds all three ink cap sizes. -No caps included. Ergonomic ink cup holder in a stylish curved shape. Display color is black but may come in green or red. Capable of fitting 8 in total: 4 x 9mm, 3 x 12mm and 1 x 18mm ink cups. 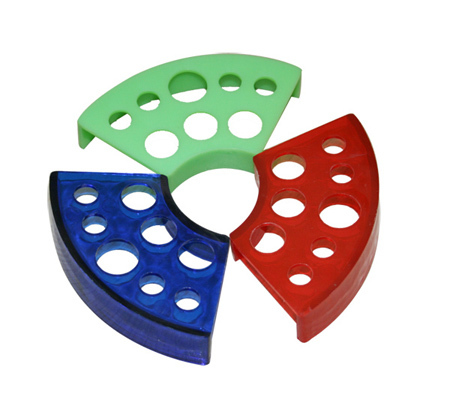 Material is plastic and can be washed with green soap. Always use new ink cups for ink.